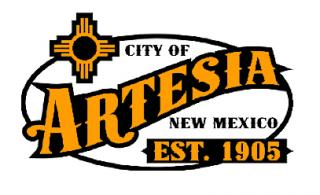 The Artesia City Council voted during its regularly-scheduled meeting Tuesday to join neighboring communities in extending an offer to defer utility payments for furloughed federal government workers until the 2019 shutdown has ended. City clerk Aubrey Hobson read the proposed resolution to the council, which states federal employees living in Artesia with personal utility bills may defer payment, without penalty, for up to six months or until the shutdown is over, whichever comes first. Once the government is back up and running, the employees will have 30 days to pay their deferred bills in full. Mayor Raye Miller pointed out the 30-day window allows time for the federal employees to make their payments, as their retroactive pay will have been received somewhere within that time frame. Councilor Kent Bratcher stated that while he had no problem with the resolution, he wondered if the council would consider similar measures during future busts within the oil and gas industry. “I think this is a little different in the fact that these folks are assured of receiving a check at some point in the future that will allow them to make whole on the obligation,” Miller said. “With oil busts, most of those folks go down and file unemployment, and they may not have full salary, but they have some compensation. Miller and Hobson also made clear the offer was open only to federal employees with personal utility bills, not landlords who include utilities in rent charged to federal employees. In other business Tuesday, the council also approved a resolution to increase the city’s rates for septic waste disposal. Infrastructure Department director Byron Landfair informed the council Artesia’s rate was currently 3 cents per gallon, while Carlsbad and Hobbs charge 12 cents and Roswell 8. “My proposal is to bring it up to 12 cents a gallon,” Landfair said. Also proposed was an overtime rate increase for weekend septic waste disposal call-outs from $35 per hour to $50 per hour. Landfair also reminded the council a town hall meeting is scheduled for 5:30 p.m. today in Council Chambers at City Hall to discuss the upcoming Hermosa Drive Reconstruction Project. Artesia Chamber of Commerce executive director Hayley Klein requested additional Lodgers’ Tax funds for the Main Event Car Show and Cruise, slated for March 29-30 in downtown Artesia. The event was approved for $11,000 in Lodgers’ Tax funding in February 2018 but was not staged due to the unexpected death of one of its organizers. Klein said with the show and cruise having skipped a year, an additional $5,500 was being requested for the Artesia Car Enthusiasts in order to increase advertising in order to make clear the event was going ahead as planned in 2019. Miller posed the thought that with Phase I of the Artesia Aquatic Center slated to be complete in May, advertising funds may be requested by the Artesia Aquatic Center Foundation in order to announce that opening. Klein said the Lodgers’ Tax Board has been taking that possibility into account and that, after the additional $5,500 was distributed to the ACE, the account would still contain $396,000 with no other significant expenditures anticipated in the near future. The council passed the request unanimously. Hobson also presented a resolution to amend Artesia’s Open Meetings Act policy to address transparency in electronic communications, specifically group text messages. It is the city’s wish no quorum be inadvertently convened by way of group text messages distributed in the event of a circumstance of which the council needs to be made aware. “It just seems logical in this day of technology that you should be able to disseminate information to everyone so that they know what’s going on,” Miller said, using water line breaks that affect residents and other such incidents as an example. “We’re not trying to be personnel, not trying to do procurement, not trying to violate anything in the Open Meetings Act. In order to accomplish that, Miller advised that if a group text was distributed, responses be limited to “OK” or “thanks” in order to let the sender know the message was received. Those communications will then be sent to the executive administrative assistant, who will place them in a file, which is subject to inspection. • the appointment of Ismael Jerome Aguilar to the Housing Authority Board (term to expire July 2022). • the hiring of Nicholas Villalobos as a firefighter at a pay rate of $2,482 per month; Jose Zamarron as a maintenance tech/recreation worker II, $2,141 per month; Monica Martinez-Jones, police corporal, $4,853 per month; and Cody Smothermon, wastewater assistant, $2,363 per month. • the resignation of Matthew Martinez, facilities maintenance technician, effective Jan. 26. • the resignation of Mike Perez, solid waste equipment operator, effective Jan. 27. • the resignation of Tony Garcia, solid waste equipment operator, effective Jan. 17. • permission to advertise and fill the position of facilities maintenance tech. • a public hearing to be scheduled for Feb. 12 for the presentation and consideration of an ordinance amending Sections 9-5-2 and 9-16-5 of the City Code concerning recreational vehicle (RV) standards and restrictions. • one planning employee to attend the NMLZO District Representative Committee meeting in Albuquerque. • one planning employee to attend the NMLZO Board Meeting in Albuquerque. • one fire employee to attend Pump Operations and Hydraulics certification in Bernalillo. • one fire employee to attend Rope Tech 1 training in Socorro. • one planning employee to attend the 2019 EDU Code Conference in Las Vegas, Nev.
• one facilities maintenance employee to attend Transfer Station Operator training in Deming. • the use of Heritage Plaza, as requested by the Artesia Car Enthusiasts, from 1 p.m. Friday, March 29, through 5 p.m. Saturday, March 30, for the Main Event Car Show and Cruise.